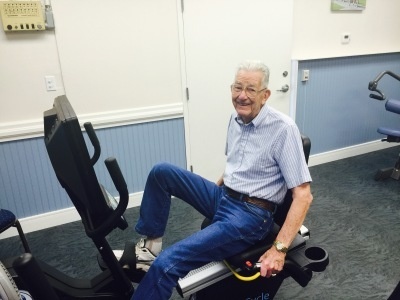 Fitness directors in senior living communities promote successful aging and fall prevention through unique exercises. 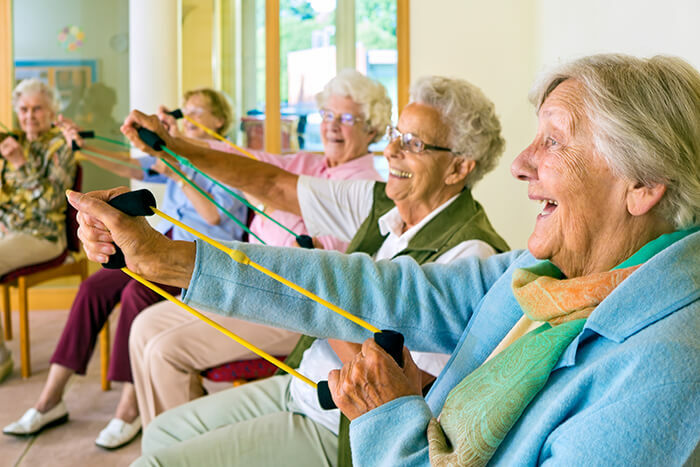 Exercise is an important part of healthy aging. From lowering the risk of heart attack and stroke to improving balance and supporting fall prevention, exercise is vital to staving off illness and staying well. And it doesn’t have to be boring. 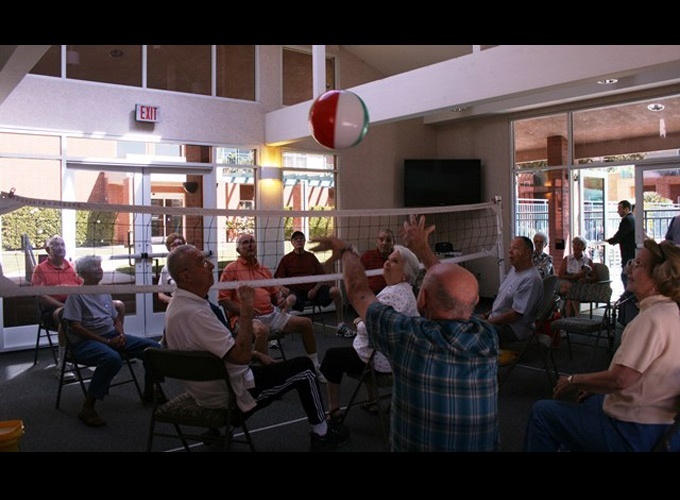 Senior living communities offer a variety of activities to keep older adults active and mobile and to promote successful aging. Following are seven examples, ranging from energetic water aerobics to relaxing yoga sessions. 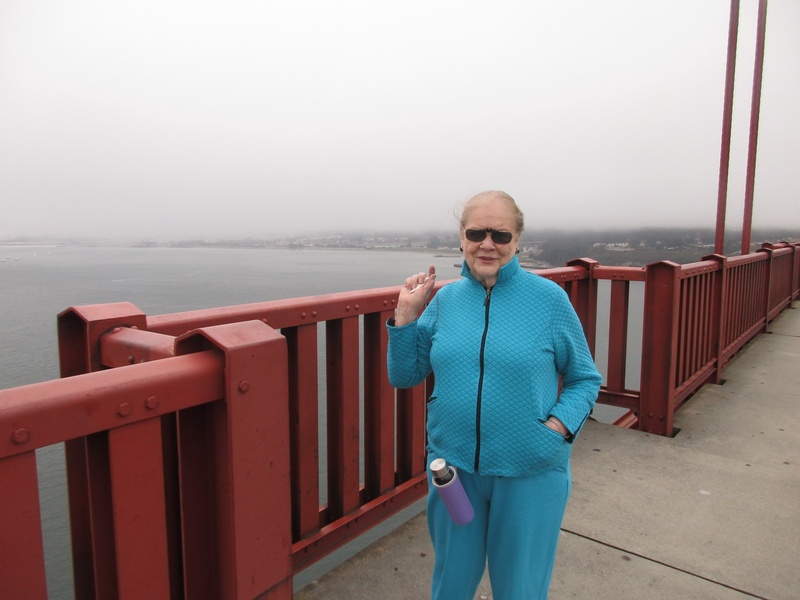 The Royal Oaks Walking Group meets each Thursday to take a brisk 5-mile walk along the Duarte Bike Trail. 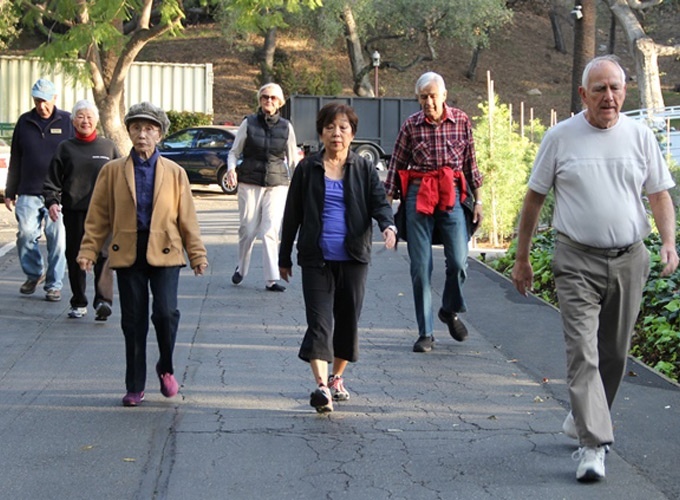 The group members enjoy strolling through the senior living community and nearby town. They also walk to a Starbucks or neighborhood diner on Wednesdays. Cazares created the program to help residents reap the benefits of walking, which include improved balance, flexibility and metabolism. “The more you walk, the longer you will be able to do so without the help of a cane to aid mobility,” says Cazares. Residents at Redwood Terrace are honing their bowling skills while forming new friendships—all thanks to a video game. 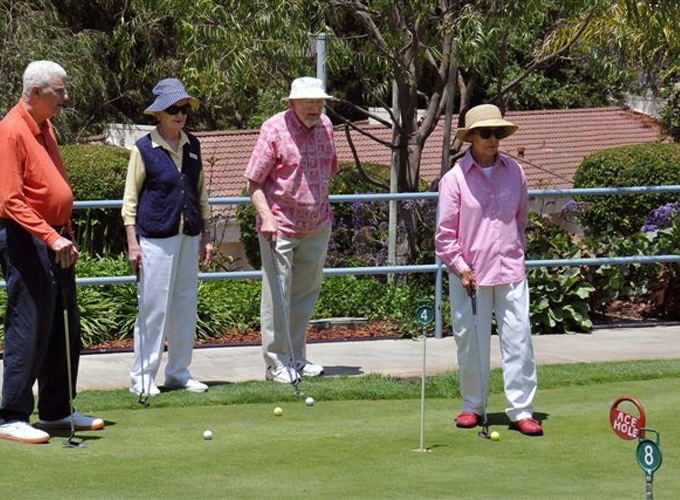 They meet each week to play several rounds of video bowling on the Nintendo Wii. 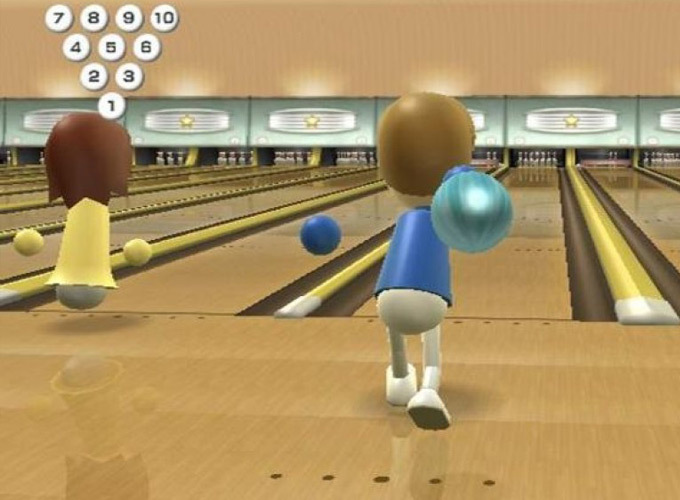 The game requires users to stand and swing a handheld controller in the same motion as if they were bowling with a real ball in an alley. In addition to bonding, the experience helps community members work on hand-eye coordination and get some basic exercise. Resident Ellen Gifford, a former league bowler, says she feels the burn while playing the game. “I go through the whole action of bowling,” she says. Senior living can help individuals overcome the fear of falling.